Good News! 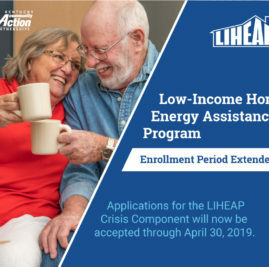 Community Action Kentucky has extended the deadline to apply for the Crisis Component of its Low-Income Home Energy Assistance Program (LIHEAP) to April 30, 2019. 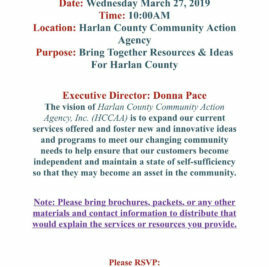 Qualified applicants should contact HARLAN COUNTY CAA today at 606-573-5335 to verify funding availability and to schedule an appointment.